Why is there a need for leadership inspiration & execution discipline? discipline means “craftsmanship” and "getting work done”. During years of experience in leadership and organizational development, we have seen a consistent lack of strategic inspiration and execution discipline in organizations resulting in cluelessness, boredom, disengagement and thoughtless routines . Our purpose is to re-energize personal and collective inspiration(s) and ambition and facilitate engagement of people to get things done. We work systemically on leadership, organizational, team and personal development. Most of our projects start by (re-)inspiring, (re-)confirming and simplifying a shared future ambition. 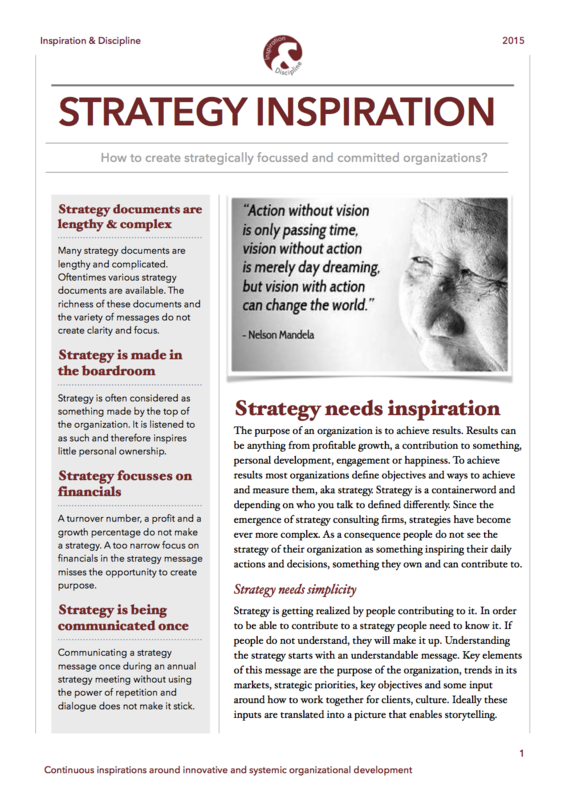 With this simplified and usually clarified ambition our clients create a process of meaningful dialogues that fit their organizational rituals and routines to bring (and anchor) strategy into hearts, minds and behavior of people. 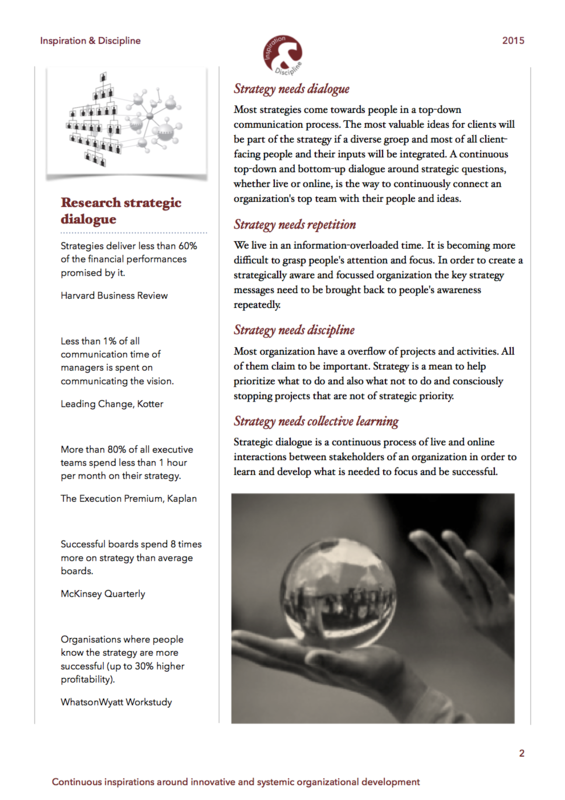 We believe that the keys to highly strategically inspired and disciplined organizations – aka high-performance and happy organizations – are simplification, clarity, connectedness and feedback.